Some board books take longer to outgrow than others. 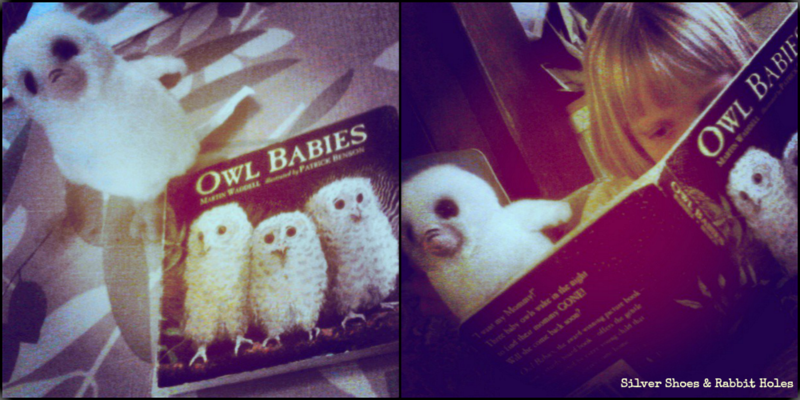 We love Owl Babies. And you can watch it, too! Here's a sweet little Owl Babies break for you today. LOVE THIS BOOK SO MUCH. This one is a keeper-forever. No one should leave childhood without reading this one! So excited to show my kiddo the video! It's very sweet. Walker Books U.K. has quite a few wonderful animated shorts of picture books. Poke around YouTube, and you can also find We're Going on a Bear Hunt, among others. No doubt... this is a book that all my kids still enjoy! just one of the very best!!! 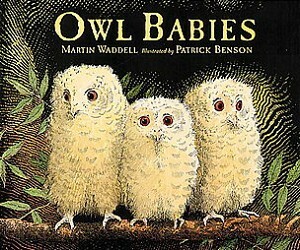 I read it for a winter storytime once, and we made mason jar owl snowglobes. I only had 4 or 5 kids that day, so it was pretty manageable. The girls still have theirs, although the googly eyes and construction paper beaks and wings are in varying states of falling off.